UPDATED: Wed., Jan. 10, 2018, 8:29 p.m. Businessman and longtime Boise school board president A.J. Balukoff launched his second run for governor of Idaho on Wednesday. He made the announcement in Pocatello and planned campaign stops in Idaho Falls, Twin Falls, Ketchum, Boise and Coeur d’Alene this week. Balukoff lost to Republican Butch Otter in 2014, garnering 38.6 percent of the vote, despite spending $3 million of his own money on the campaign. This time, he’s facing a contested Democratic primary, with Rep. Paulette Jordan, D-Plummer, already an announced candidate in the race. There also are a passel of Republicans running. He said the contested race also will draw more attention to the Democratic rivals earlier in the year. Idaho’s primary election is May 15, followed by the general election in November. “It’ll give us both an opportunity to talk about our values and where we think the state ought to go,” Balukoff said. Jordan, a second-term lawmaker and a Coeur d’Alene tribal member, had a similar reaction. She said she expects an “amenable” primary contest focused on issues. Balukoff, 71, said in addition to education, he’s focusing his campaign on health care and public lands access. He called Otter’s proposed Idaho Health Care Plan “a good start.” That plan is based on seeking waivers from the federal government to allow 35,000 currently uninsured Idahoans to qualify for subsidized health insurance through the state insurance exchange and shifting some seriously ill patients to Medicaid. But he criticized Otter and Lt. Gov. Brad Little’s executive order allowing insurance plans that don’t meet Obamacare standards to be sold in the state as move to lower premiums. With the governor’s race wide open this year as Otter’s not seeking a fourth term, three big-name Republicans already are actively campaigning: Current Lt. Gov. Brad Little; Boise businessman, developer and physician Tommy Ahlquist; and 1st District GOP Rep. Raul Labrador. More than a half-dozen lesser-known candidates also have formed fundraising committees to run for governor in 2018, four of them running as Republicans, including former Constitution Party candidate Steve Pankey. There also are two independents and three Democrats, including Troy Minton, a homeless man who was jailed on theft and probation charges in April. Balukoff, a longtime Boise School Board member, is an accountant and businessman who co-owns the Grove Hotel in Boise along with CenturyLink Arena, the Idaho Steelheads minor league hockey team, downtown buildings and more. Balukoff is a former independent who has contributed to candidates from both parties over the years; he was a supporter of Mitt Romney for president both in 2007 and 2012, and candidates he’s donated to in the past have included GOP Sen. Larry Craig in 2001 to Democratic congressional hopeful Shirley Ringo, who challenged Labrador in 2014. When Balukoff ran against Otter four years ago, Balukoff was targeted by big-bucks independent ad campaigns from groups including the Republican Governors Association and the Idaho Association of Commerce and Industry, who tried to paint Balukoff as “typical politician” and tie him to President Barack Obama. Other than his school board positions, Balukokff had never sought elective office before his 2014 run for governor. 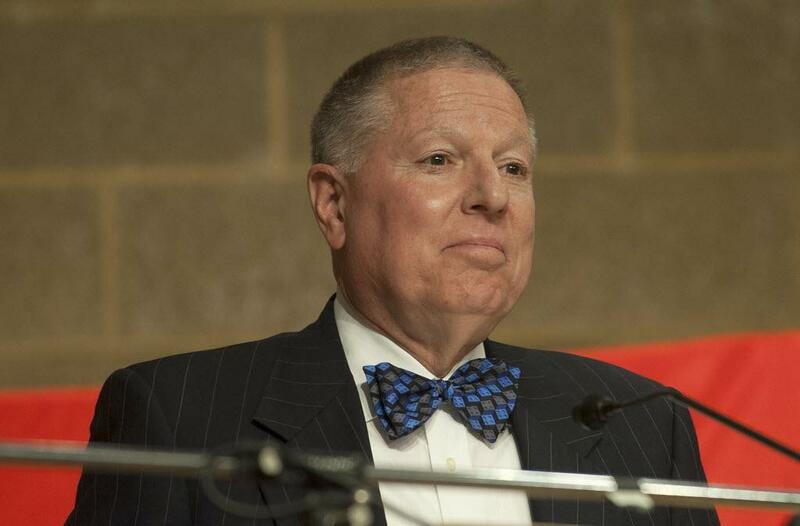 Balukoff, who is known for wearing bow ties, is a retired CPA who holds an accounting degree from Brigham Young University. He also has served on the boards of the Boise Public Library, St. Luke’s Regional Medical Center, the Esther Simplot Performing Arts Academy, and Ballet Idaho, and is the former bishop of his LDS church ward. Published: Jan. 10, 2018, 12:38 p.m. Updated: Jan. 10, 2018, 8:29 p.m.